For some big experiences, you need to seek out some of the region’s tiny islands. 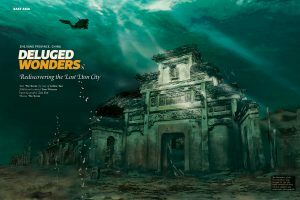 From towering columns rising from the ocean floor, swept by huge currents and frequented by megafauna, to isolated sandbars wreathed with palms and colourful critters, isn’t it time you got “Castaway” from it all…? 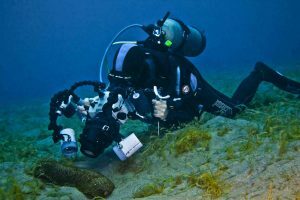 Pioneer liveaboard operators recently stumbled upon the latest discovery in the Indo-Pacific region. Long ignored in favour of traditional, more-direct routes used for crossing the Banda Sea, this stretch of islands between the eastern tip of Timor and Tanimbar comprises the southern edge of the Malukus. 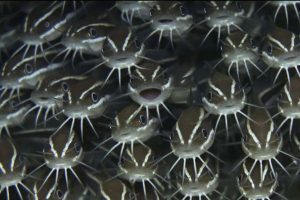 The Banda Sea has some of the deepest ocean trenches in world, some up to 7,500 metres deep in places, and the reefs here thrive on nutrientrich upwellings. The results are intact hard coral gardens climbing all the way to the surface, huge schools of fish, and the presence of large pelagics, from giant groupers to schools of giant trevallies, big tunas and large schools of hammerheads. Gunung Api, or Snake Island, is one of the most isolated and rarely visited dive spots n the middle of the vast Banda Sea, one of the “Forgotten Islands”. This tiny island extends upwards from a depth of around 4,000 metres, ending in the 240-metre-high, perfectly cone-shaped summit of a partly active volcano. The first divers here, more than 20 years ago, where shocked by the exceptionally large population of sea snakes that inhabit the shallow water close to the rocky shore. Today, the place almost guarantees a close encounter with more than 100 sea snakes on a single dive. 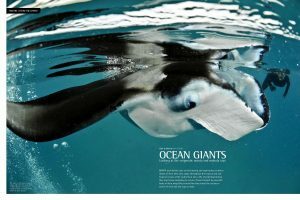 They are curious and unafraid of divers, swimming up, brushing against you and swimming away. 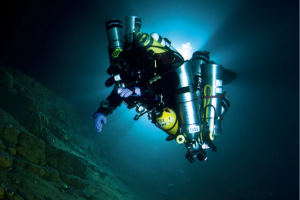 Some will buddy up with you as you descend the wall to depths of more than 30 metres. Extraordinarily, these air-breathing reptiles have been recorded diving to up to 180 metres, breath holding for up to two hours. 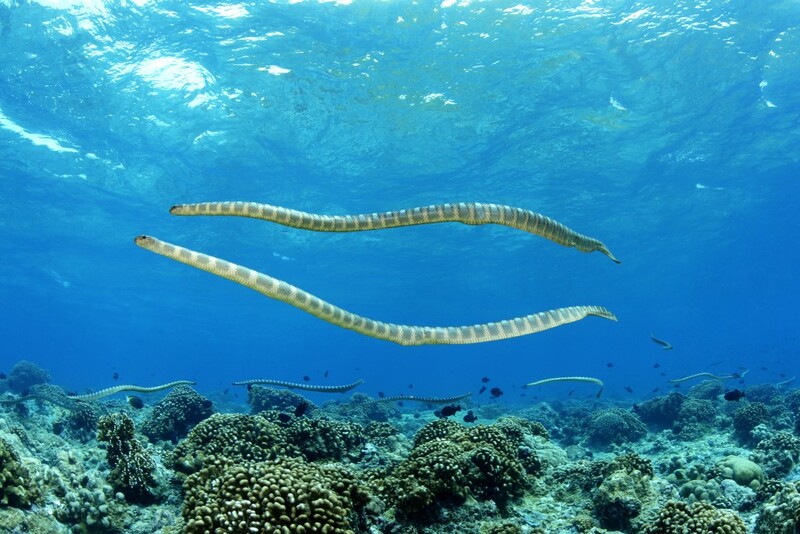 Most are Chinese sea snakes, Laticauda semifasciata, an oviparious species. And this is probably the secret of their numbers – the rocky shore is full of tiny crevices and caves where the snakes can hide their eggs from greedy seabirds. Four small, connected islands make up Yap proper with other tiny islands stretching for almost 1,000 kilometres beyond; this is one of Micronesia’s best-kept secrets. A manta cleaning station inside the lagoon is probably one of the best shallow-water close manta encounter sites in the world. 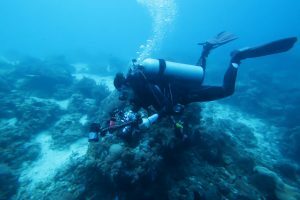 Divers post themselves at five metres around the edge of a large coral mound while mantas hover above to be cleaned by tiny wrasse. The mandarinfish mating ritual can be seen nightly at a reef just outside of Colonia’s harbour. These colourful fish emerge, cheek–to-cheek, to mate at dusk. 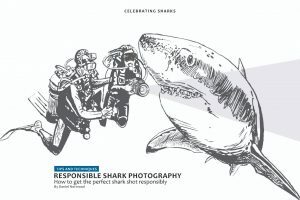 To complete a perfect diving trifecta, an ocean-side shark dive site brings grey reef and blacktip reef sharks right to divers’ masks and cameras. 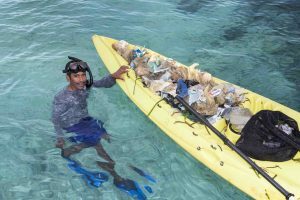 Despite the devastation of the slash and burn agriculture on land, the underwater world of Kimbe Bay remains an important biodiversity hotspot boasting more than 60 percent of the coral species of the entire Indo-Pacific. Kalanggaman, an island of white sand, is a short boat ride from Malapascua and makes a very nice day trip. The island’s sand banks are formed between currents, extending dramatically outwards. Dives here are mostly wall dives but there are shallow areas too, with coral bommies and a sandy bottom. On a sunny day the colours are amazing and the fish life is extremely impressive, with smaller fish, nudis, and shrimps great targets for the macro shooter. Between dives, you can have your lunch served on this beautiful little island, resting in the shadow of the palm trees. 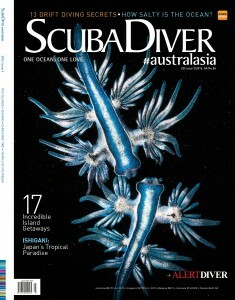 Far out in the Pacific, east of the Coral Sea, divers will discover a little slice of heaven. The tiny island nation of Vanuatu offers not just pristine coral reefs, but also one of the most spectacular wreck dives in the world: The former American luxury ocean liner turned troopship SS President Coolidge. The 200-metre giant rests from about 20 to 75 metres. after hitting two mines on October 26,1942, and is one of the largest diveable wrecks anywhere in the world. The captain beached the ship and all but two were saved, before she slid off the reef and sank. SS President Coolidge offers several dives at various depths, with highlights such as a Madonna statue, a tiled swimming pool and many great swim-throughs with spectacular details. Dives, both technical and sport diver level, are offered by several dive shops in Luganville on the island of Espiritu Santu. Another great dive nearby is Million Dollar Point. After the war, several trucks, bulldozers, excavators and other vehicles were dumped off the end of the runway, today offering a very unusual wreck dive with great photo opportunities. Two smaller ships have since been scuttled here, and this easy beach dive is very popular after visiting the Coolidge. A short boat ride from Mabul Island, where the vast majority of resorts are located, Sipadan Island pokes its head above the horizon, a tropical paradise with white sands dividing the palm trees from the turquoise water. This must-dive site runs on a permit ticketing system, limiting diver numbers and making it a haven for fish life and pristine untouched coral walls. plates and branching coral clusters bustling with life, this dive site is a list topper for almost everyone who has the privilege of visiting it. The highlight of this site? The tornadoes of barracuda contrasting their silver blue against the Technicolor reef system and the morning train of bumphead parrotfish coasting across the shallow reef, right on schedule. This isolated coral atoll located in the middle of the Indian Ocean offers a picture postcard island getaway. Comprised of a ring of 27 low-lying sandy islets covered in rustling palm trees and bright yellow sandy beaches, the most prominent feature of the dreamy destination is the electric blue waters that circle the outer island reefs and sheltered lagoon. The diving here is dramatic: Walls drop away to 3,000 metres and are often vertical, the deeper parts are covered in forests of gorgonian seasons and sea whips, whilst hard corals dominate the shallow sections. Expect to encounter brightly coloured Cocos angelfish, which are only found in these waters, as well as grey reef, whitetip and blacktip sharks, manta rays, green turtles and reef octopus. And, if you’re lucky, a lone dugong occasionally visits groups of divers off the northern end of Direction Island. 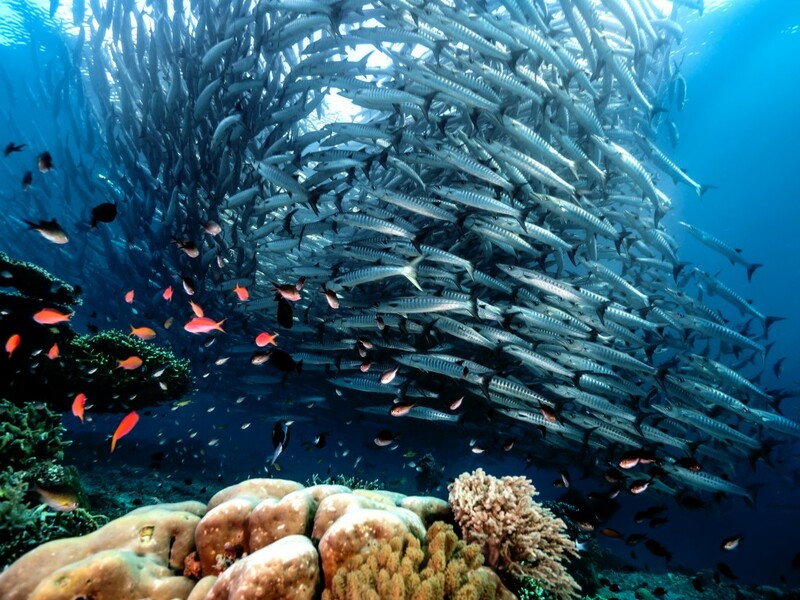 Manado in the Sulawesi Sea is ranked as one of the best diving locations in Indonesia. 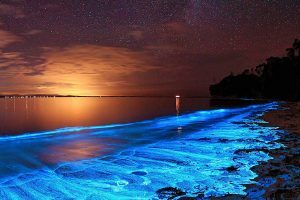 The jewel in the Manado crown is Bunaken Island, protected within the Bunaken National Marine Park. 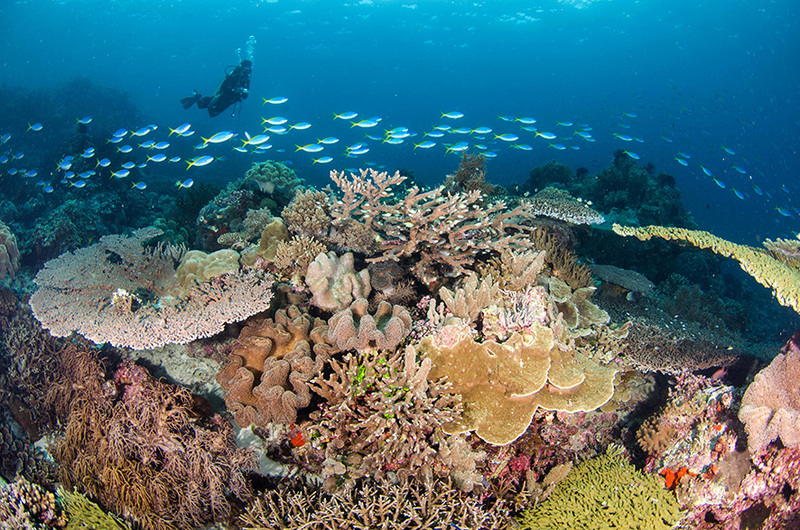 On the reefs surrounding Bunaken Island, divers can experience some of the highest levels of biodiversity in the world, with outstanding fish variety and world-class reef walls. 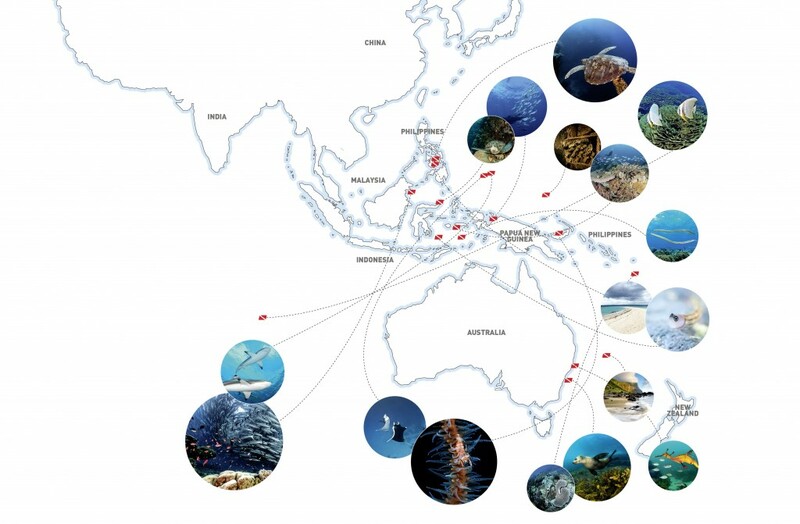 Situated in the Coral Triangle, these clear, warm waters contain an astonishingly high numbers of species. Oceanic currents sweep past the island and provide a steady supply of nutrients to thickets of gorgonian fan corals, sea whips and thriving hard coral growth in the shallows. During a single dive, the marine life can vary from tiny pygmy seahorses to several green turtles. 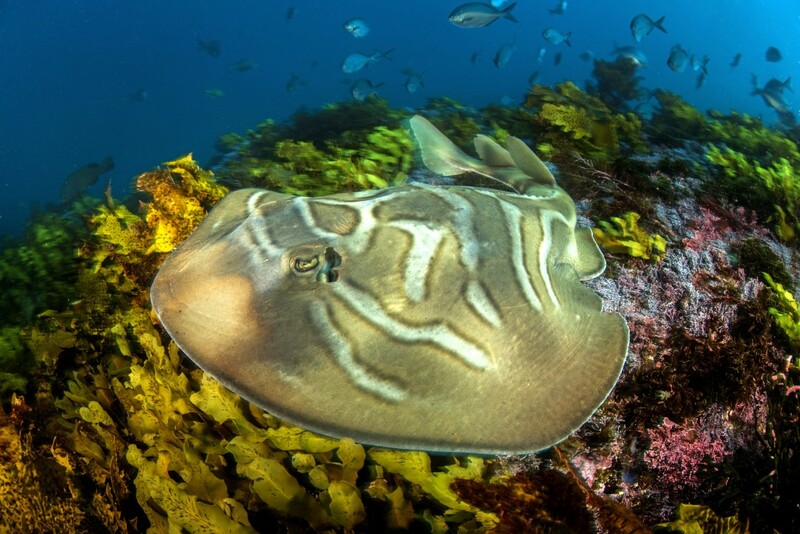 Surrounded by sprawling rocky reef inhabited by weedy seadragons, giant cuttlefish, blue devilfish, fiddler rays and grey nurse sharks, most of Broughton’s sites are great for new divers – easily accessible, relatively shallow, with no current. Grey nurse sharks are the major draw and occur here year round, though peak season is February to June. The sharks can be encountered regularly at sites like Looking Glass, Shark Gutter, East Head and North Rock. 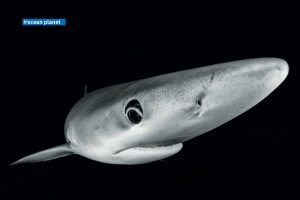 Highlights include the sharks amongst the shape-shifting schools of yellow-tail scad off North Rock, and the spectacular topography of the amphitheatre-like Looking Glass. 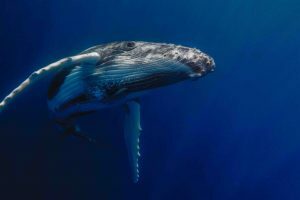 When a day of diving is combined with topside encounters with migrating humpback whales and pods of common dolphins, a visit to this island is a must. The tiny island of Balicasag is considered one of the best places to dive in the Philippines. 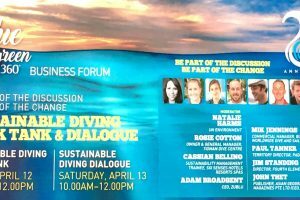 Being surrounded by deep water and the Cebu Strait ensures plentiful currents and thus high biodiversity. 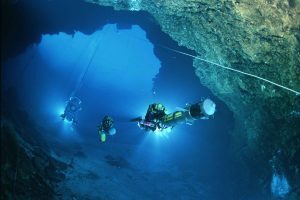 It is always easy to dive a sheltered side of the island, or you can choose a nice drift dive on deep walls. Balicasag is just 10 kilometres from Panglao’s Alona Beach, just by Bohol. 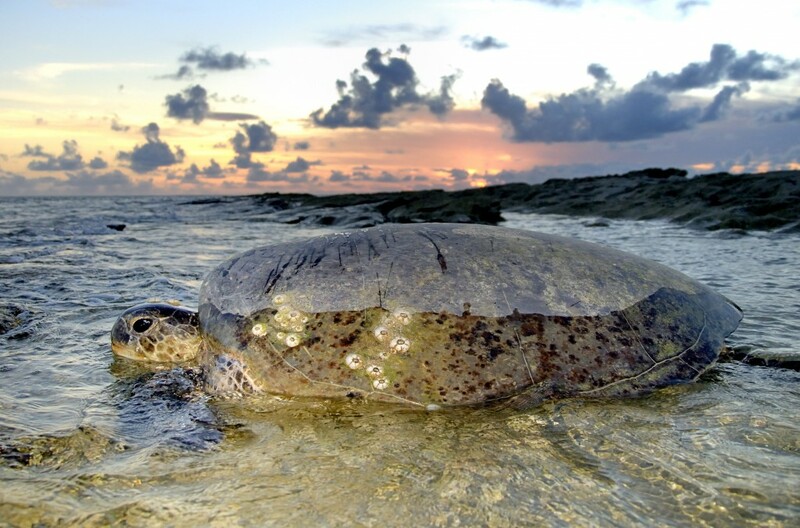 It is famous for its turtles, with both green and hawksbill turtles spotted on almost every dive. Convict blennies and other schooling fish are also great to photograph. 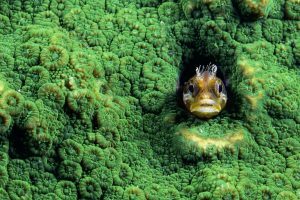 Walls covered with soft corals and anemones host all kinds of small critters. 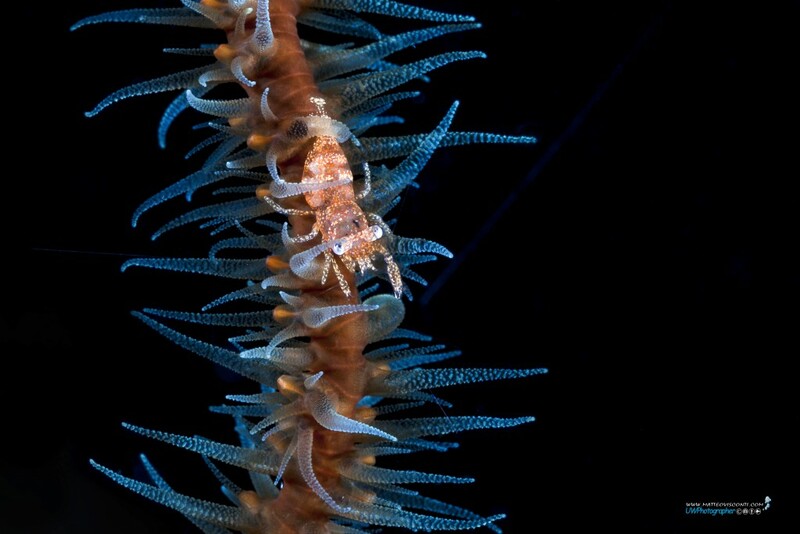 Don’t forget to check out whip corals for the gobies and crabs. This is the epitome of an island diving paradise. Turtles nest on these beautiful palm-lined white sand beaches and sunbirds twitter in the branches above. Only 50 metres from shore, the turquoise water gives way to shades of royal blue where the rich coral and seagrass shallows merge with the ocean depths beyond. The small island, Onemobaa, is towards the end of the Tukang Besi chain of islands. The region is also known as Wakatobi, which is where the resort’s name originates. The name “Wakatobi” derives from the first two letters of each of the four main islands in the chain: Wangiwangi, Kaledupa, Tomia and Binongko. The corals remain pristine and an extraordinary diversity of species can be found here. 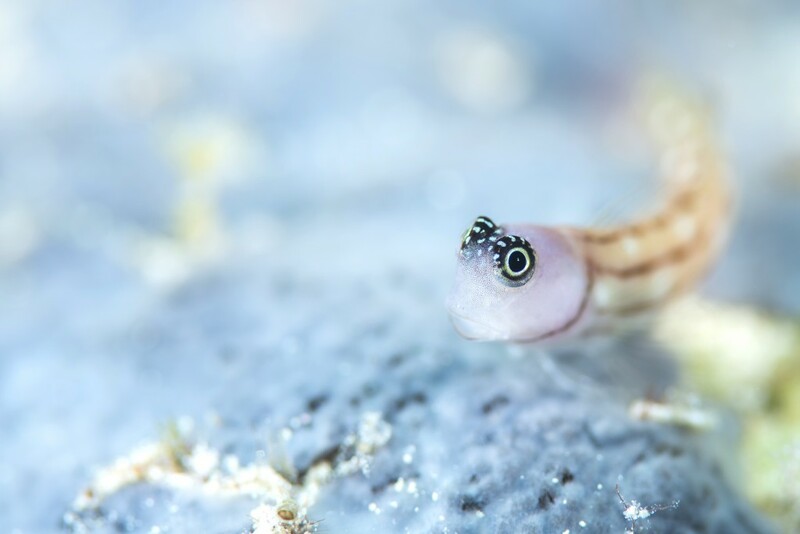 Some sites have bountiful fishes, turtles, schooling trevally and rays, whilst others are better known for the smaller critters: pygmy seahorses, an extraordinary palette of nudibranchs, ghost pipefishes (including the rare halimeda species) and crustaceans hiding away in or on almost any invertebrate host. This tiny island certainly punches above its weight in the biodiversity stakes. 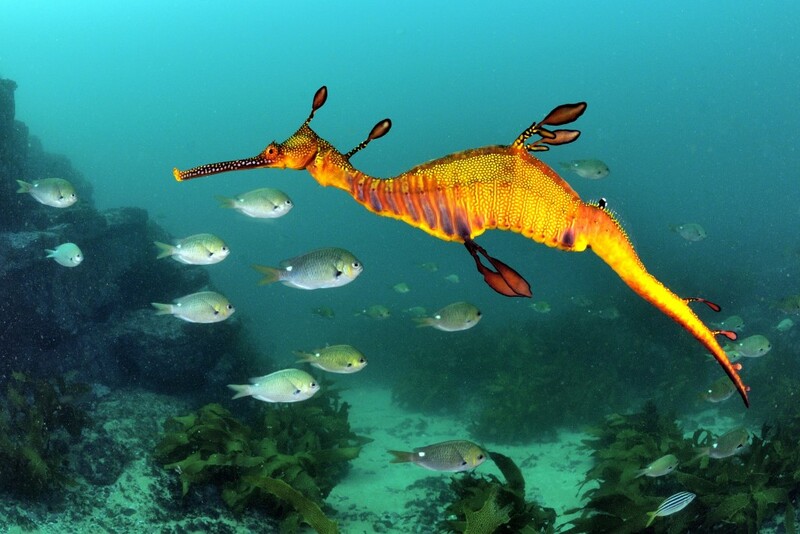 This exotic World Heritage site offers up some of the most unique and diverse diving within Australian waters. 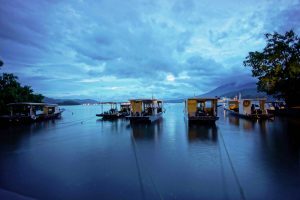 The island landscape itself is spectacular, composed of dramatic cloud-catching mountains, a quaint township and rolling hills that lead to picturesque beaches. Surrounding the island is the southern most coral reef in the world. 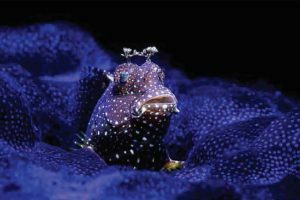 Sixteen species of fish found nowhere else on earth inhabit these reefs, along with an eclectic mix of tropical and temperate marine species. Lord Howe boasts over 60 dive sites, ranging from sheltered lagoon sites to the oceanic reefs off Balls Pyramid – the world’s tallest sea stack. Diving inside the lagoon offers sheltered, aquarium-like sites packed with diversity. 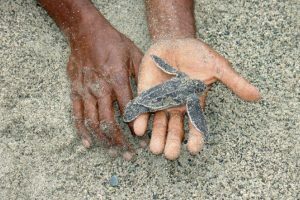 Green turtles, rays and Galápagos whaler sharks can be encountered on a daily basis. 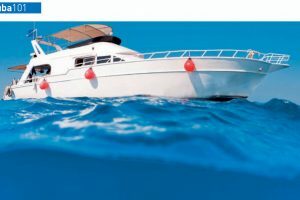 The offshore reefs offer dramatic topography including drop-offs and caves with the perfect mix of amazing big fish action and macro encounters. There’s a variety of sites for the full range of beginner to advanced. 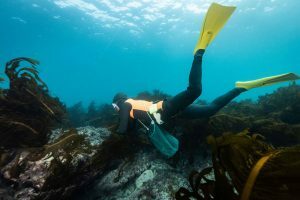 The shallow sheltered sites within the lagoon can be snorkelled by the whole family, whilst the dramatic current-swept sites offshore are suitable for advanced divers. Internationally famous for its WWII wreck diving, Chuuk (formerly known as Truk) is a destination on every diver’s bucket list. Warships, merchant ships, a submarine, and aircraft have been sitting at the bottom of the lagoon for over 70 years turning into artificial reefs hosting an epic amount of marine life in the warm waters of Micronesia. he wrecks and colourful reef fish buzz over these “ship reefs”. 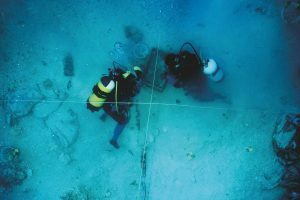 Experienced divers can take tours (by experienced dive guides) through the wrecks to visit engine rooms, galleys, and workshops still intact with artefacts from another time. 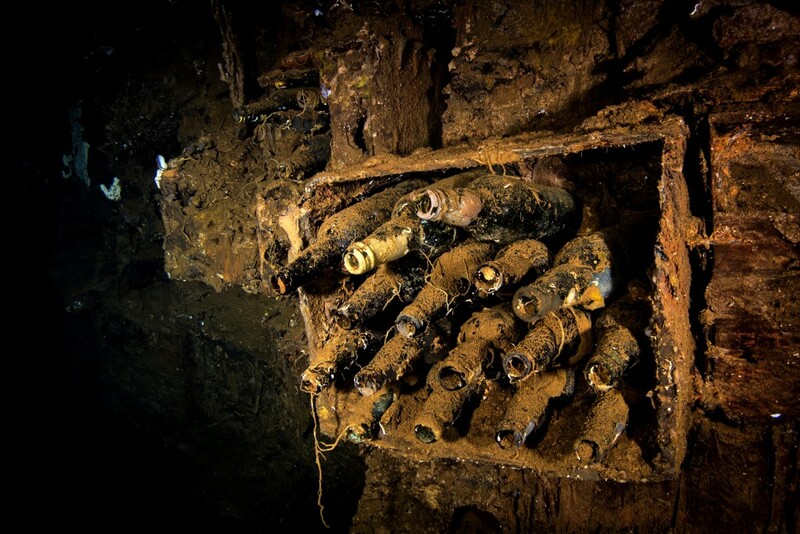 A favourite spot is a cargo hold that held cases of beer or sake and the boxes of bottles can still be seen in the Rio de Janeiro Maru. The beautiful but remote Ahe lies in Cendrawasih Bay, at the most eastern part of Indonesia close to Papua New Guinea. The island, accessible by liveaboard, is home to a locally-run resort, with a small restaurant and just 10 bungalows. The island is so small it only takes around six minutes to run one lap around it! Ahe is a little tropical paradise with a wonderful house reef that boasts a plane wreck, and an ideal habitat for fish under the pier. The diving is easy with little or no current. But the big draw at Ahe is the whale sharks. 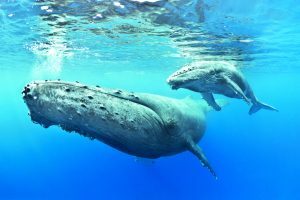 A boat ride away, fantastic dives are possible with the biggest fish in the world, and not just with the adults, but with the youngsters too, six- to seven-metre-long “teenagers”. 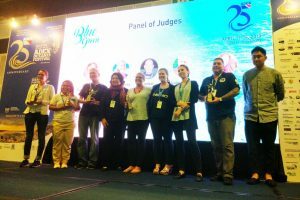 The fishermen are superstitious and believe if they feed the whale sharks with small bait fish they will have better luck getting the bigger fish they are after. Situated on the far south coast of New South Wales, off the quaint coastal town of Narooma, the Montague Island Nature Reserve is world renowned for its nesting seabirds and is a stronghold for nesting little penguins, crested terns and silver gulls. 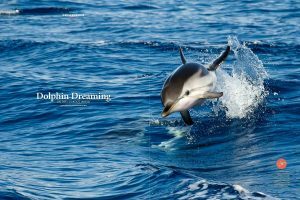 On the reef just offshore, the blue East Australian Current brings nutrients, baitfish and larger predatory fish and squid to the waters immediately around the island, which creates a feast for resident Australian and New Zealand fur seals. 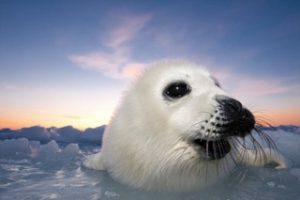 Endless time can be spent watching the playful antics of the seals in the blue shallow waters. 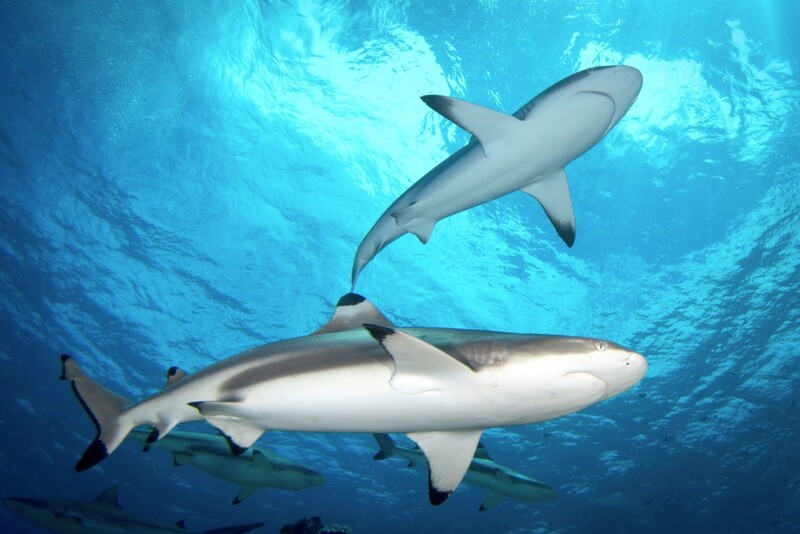 During the summer months grey nurse sharks can also be regularly encountered off the northern end of the island; it was quite common to encounter a group of 10 during a dive this summer. Other sites around the island include a bubble cave and the amazing Aughinish Rock, located in current-swept waters to the south of the island. Palau, one of the Pacific’s hidden gems, is made up of both volcanic islands and over 400 uninhabited mushroom-shaped limestone islands. Winding through its outer reefs to its inner lagoons lies an assortment of channels bringing with it food, nutrients and plankton. One of Palau’s most famous channels is German Channel, a 45-minute boat ride from Koror (Palau’s main island) in the southern lagoon. Here, during the months of November to December, aggregations of 10 to 15 mantas can be seen feeding on plankton in the late afternoon on incoming tides. 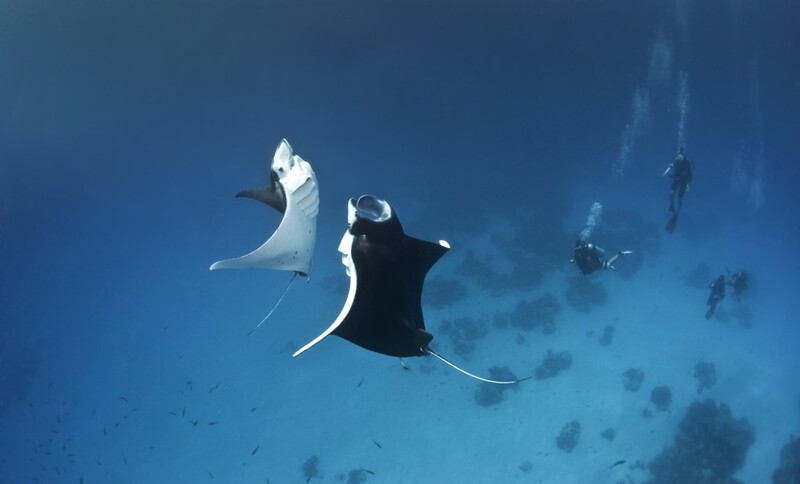 Not only is this place special for witnessing this behaviour, it also has nearby cleaning stations, where mantas come to be rid of parasites. Around April the mantas take advantage of the current and move to the northern islands, feeding and mating in large numbers. At certain times, at key sites, it is possible to see aggregations of anywhere from 25 to 50 mantas feeding in huge trains.